November 2014. We obtained 501(c)3 status in spring of 2016. 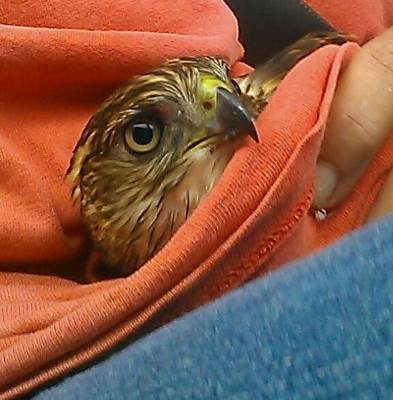 Most of Iowa's wildlife rehabilitators operate largely on their own. The group was formed to ensure that orphaned or injured wildlife was placed with the most qualified rehabilitator on a case by case basis and to share information, training, resources, and establish relationships with the Iowa DNR, city animal control units, and rescue groups. Each active member of the WRNCI brings a special set of knowledge, skills, and experience to ensure the best possible outcome for all of our injured or orphaned wildlife. Our licensed members rescue and rehabilitate animals out of their own home, barn, or other location. Our supporting members volunteer their time, energy, and resources by transporting animals, answering phone calls, fund raising, and any number of activities that support the rehabbers. Rehabilitators are not employees of the state or compensated financially for the work that they do, they are paid solely in the pride and satisfaction that come from watching a rehabilitated animal re-enter the wild. Kathy Stelford is the founder and President, Oaken Acres Wildlife Center, Sycamore, Illinois, 1984 to present. 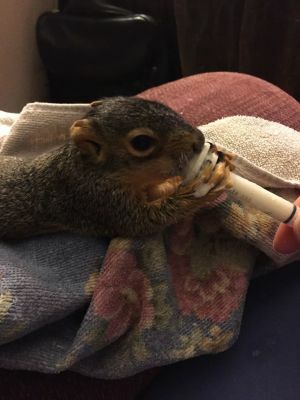 Oaken Acres cares for over 600 orphaned or injured wild patients each year. She founded the TAILS Humane Society in DeKalb, Illinois 1999 - 2007 and is currently a charter board member of the Wildlife Rehabilitation Network of Central Iowa, and serves on the Institutional Animal Care and Use Committee at Northern Illinois University. She has been an independent licensed rehabilitator for over 33 years and published "Every Life Matters: Inspiring Stories of Wildlife Rescues and Releases" in 2008, a compilation of stories of some of her most memorable patients. She also holds USFWS Wildlife Rehabilitation and Education permit; Illinois Scientific Permit for Wildlife Rehabilitation, Endangered and Threatened Species, and Eagles; Iowa Permit for Wildlife Rehabilitation (sub-permittee). I have been involved with wildlife since 2009 when my husband, Bob, and I became helpers under Terry Jones’s license. We specialize in squirrels and have also done fawns. In 2010 we helped organize the first Wildlife fund raiser in Adel. In 2014, Bob and I hosted a Get Together to meet other wildlife rehabbers in the area. In 2015, we were at the first organizational meeting. We believe strongly that our organization can benefit the membership by just knowing / meeting / sharing with other rehabbers. We are both retired and have lived on a small acreage near Van Meter for over 30 years. We have 3 daughters and 9 grandchildren that all live close by. I officially started wildlife rehabilitation in 2013 and hold an Iowa Permit for Wildlife Rehabilitation and USFWS Wildlife Rehabilitation Permit (sub-permittee), and was As a founding member and officer of WRNCI I served as secretary from 2014-2016, and became president in 2017. I am also a member of National Wildlife Rehabilitators Association and passionate about providing support and resources to independent rehabilitators. Due to location, I mainly work with small urban wildlife. I enjoy reading and crochet and spending time with my husband and 5 young adult children, as well as my two dogs and two cats. .Although my health and age are slowing me down a bit, I hope to continue in this joyful work.